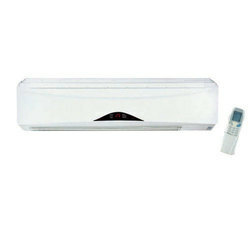 As per the specific needs of the clients, we are engaged in providing a high quality range of Fan Coil Unit. Banking on the skills of our qualified team of professionals, we are instrumental in offering supreme quality range of Wall Mounted Fan Coil Unit. Citizen Fan Coil Units come in a rugged construction with trouble free silent operation. Our offered Fan Coil Unit is developed as per the international norms and standards with the support of efficient workforce utilizing cutting edge technology. With sincerity and hard work of our experts, we have carved a niche for ourselves in this domain by manufacturing and supplying Fan Coil Unit. Description FH-UFC series ground type fan coil is a kind of terminal unit specially designed for air and water treatment in raised floor system. It has advantages as compact structure, short finish height, low noise, superior performance, and most importantly, it is more convenient to install and maintain. 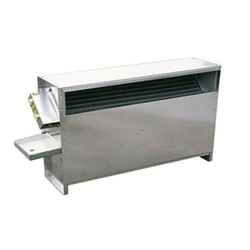 The fan coil unit manufactured by us are used in cooling large areas. They are available in different capacity and in different sizes as per the specific requirements of clients.